Each year all parents with children approaching school age are asked to name the preferred school for their child. We warmly welcome parents who wish to visit Welwyn St Mary’s by appointment to see the school at work at any time. We also hold open mornings when you can attend a brief talk by Mrs Westley followed by a tour of the school. As a Voluntary Aided School, the governors are the Admission Authority and the Admissions Committee admits the standard number of 60 children to the Reception classes each academic year. We seek to serve the village community first and foremost as well as offering places to those who already have a family or church connection. If the number of applications for places exceeds the number available, the Admission Policy will be followed in order to allocate places. Each applicant is placed in a Category determined by their home location; if there is a sibling already at the School; or if the family has a church connection (see the policy for a full explanation). You must make your application for a place either on-line to the Local Authority (LA – Hertfordshire County Council) www.hertfordshire.gov.uk/admissions or contact the Customer Service Centre on 0300 123 4043 to request a hard copy of the form. We also ask that you complete a Supplementary Information Form (SIF) and return it to the School, in order to register interest in a place for your child. We ask for information on that form which helps us give your application full consideration. Please be aware that we require our own Supplementary Information Form to be completed and returned to the School Office as well as your online application to County. If you do not make the application to County by the due date then we are unable to consider your application. Parents who have not been allocated a place for their child have the right of appeal to an independent panel and the School uses the LA’s central clerking service for the administration of any admission appeals. The LA will include information about appeals in its post-allocation literature and further details and explanation may be found in the LA’s admission literature and website. Parents wishing to appeal who applied on line should log into their online application and click on the link “Register an Appeal”. For those who did not apply on line, please contact the Customer Service Centre on 0300 123 4043 to request an appeal pack. In accordance with the School Admission Appeals Code you can download a copy of the Appeals Timetable that has been set for 2019. Requests for admission to other year groups should be made direct to the School and both the LA and the School can provide an in-year application form upon request. The School will accept the LA application form but parents/carers are also requested to complete the SIF. The School will inform unsuccessful applicants of their right of appeal; for in-year applications parents wishing to appeal should contact the School directly in the first instance. 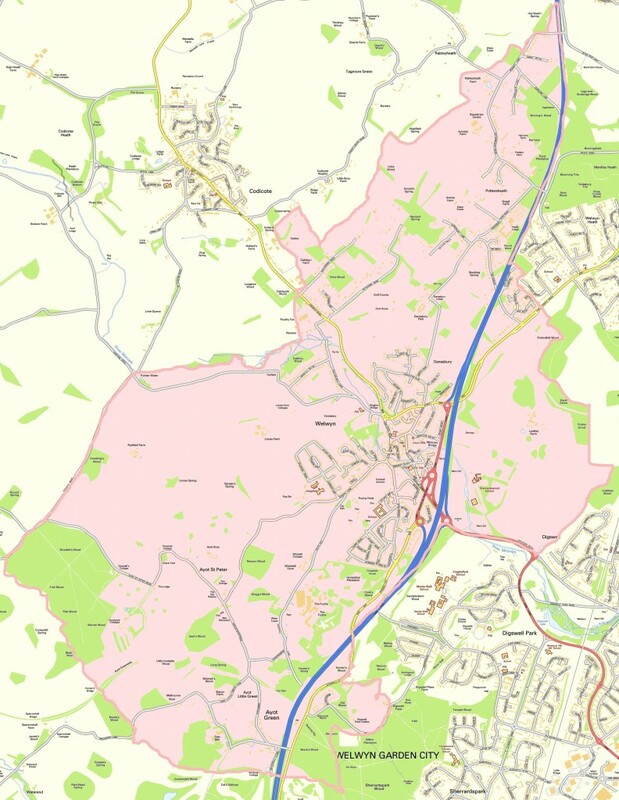 This map shows the catchment area shaded on a map of the area and you can pan and zoom with good definition (with acknowledgement to Ordnance Survey).